After establishing his reputation in Boston between 1882 and 1886, Hassam studied from 1886 to 1889 in Paris. 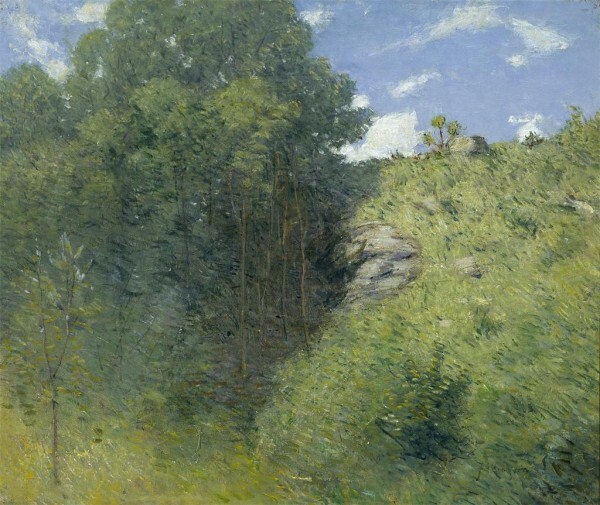 There he was unusual among his American contemporaries in his attraction to French Impressionism, which was just beginning to find favor with American collectors. 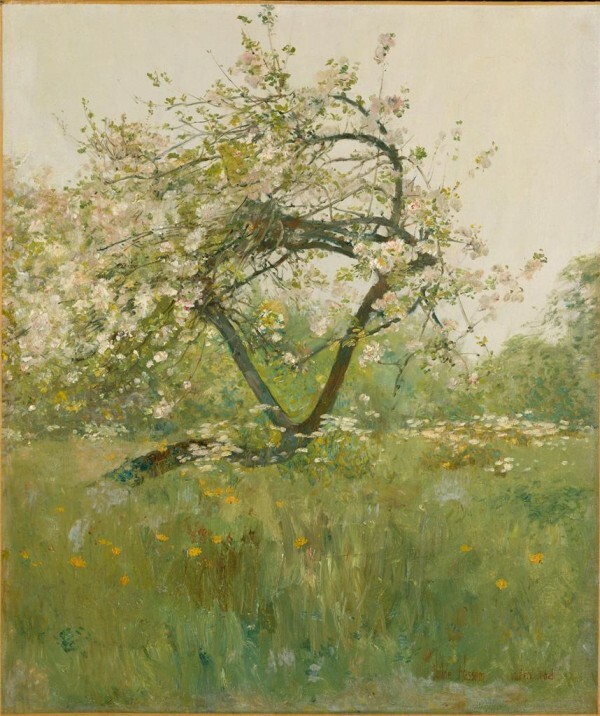 Hassam returned to the United States late in 1889 and took up lifelong residence in New York. His signature images include views of Boston, Paris, and New York, three urban centers whose places and pleasures he captured with affection and originality. Examples include Winter in Union Square and Spring Morning in the Heart of the City, both of which record lively sections of New York during the first decade of Hassam’s activity there. While Hassam was unusual among the American Impressionists for his frequent depictions of burgeoning cities, he spent long periods in the countryside. There he found respite from urban pressures and inspiration for numerous important works of art. Hassam’s many portrayals of the old-fashioned gardens, rocky coast, and radiant sunlight of the Isles of Shoals, Maine, are among his most cherished works. Among them is the 1901 view Coast Scene, Isles of Shoals, the first canvas by the artist to enter the collection of the Metropolitan Museum. Hassam’s images of Newport, Portsmouth, Old Lyme, Gloucester, and other New England locales also exemplify the late nineteenth-century appreciation of the picturesque region redolent of early American settlement and colonial growth. 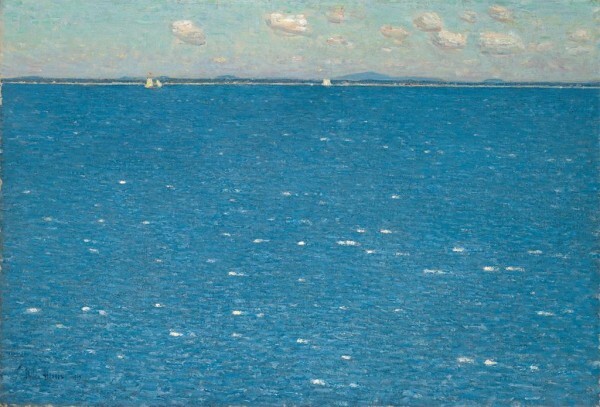 In 1919, Hassam and his wife purchased a colonial-period house in East Hampton, on the south fork of Long Island, New York, and made it their summer headquarters. 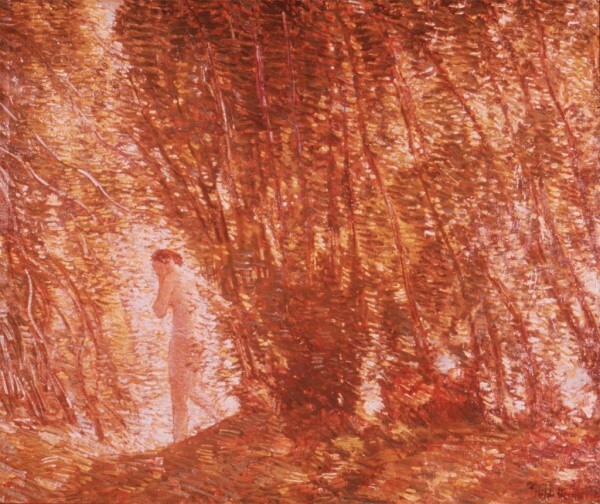 The entry 'Childe Hassam' was posted on August 9th, 2013 at 1:51 pm	and is filed under Uncategorized. You can follow any responses to this entry through the RSS 2.0 feed. Both comments and pings are currently closed.